There’s been a lot of 5G talk lately, and recently T-Mobile paid a visit to the FCC to talk more about 5G tech. In a presentation given to the FCC, T-Mobile touched a bit on what it thinks the initial use cases for 5G will be. T-Mo says that millimeter wave 5G tech will be useful in small cell applications in both urban and suburban areas, where it’ll be used to fill in coverage gaps, provide additional capacity where needed, and to meet the requirements of new applications, like for the Internet of Things. T-Mobile also touches a bit on the 37 and 39 GHz bands, which it says should be combined to create a contiguous 3 GHz licensed block. T-Mo says that proposed hybrid regulations for the 37 GHz band should be avoided, claiming that outdoor-only licenses are not economically viable, will reduce the value of the spectrum, will limit service offerings, and make deployment and enforcement complicated and costly. Also in its presentation, T-Mo explains how a competitive framework can be achieved, saying that 10-year license terms provide the certainty necessary for investments to be made. To see T-Mobile’s full 5G presentation for yourself, hit the FCC link below. Tmo needs too worry about getting 4G LTE to everyone ! people still on edge in many places. No band 12 anywhere in Utah yet. It is coming though! Rural areas here are filling in with Band 4 for now. And the coverage is pretty nice. I’m going to Moab this summer to Arches NP. T-mobile map doesn’t show very much coverage there, but it’s good to know your buddy had good service! Most of Florida is better at T-Mobile than the other 3. SE Florida is certainly much better with T-Mobile. T-Mobile needs to do many things. I see posts like this all the time. I don’t understand why people think corporations can only do one thing at a time. EDGE needs to be completely shut down and reformed and aggregated with LTE, it really does!!! I think T-Mobile knows it needs coverage and speeds inside buildings with these high frequency bands because they know they are not going to make it with the 5×5 slice of wall penetrating Band 12 or whatever slice they can get from the 600Mhz auction. Things have improved greatly in my area over the past 12 or so months… Good coverage and lightening fast download speeds… A year ago had crappy coverage (19380) – shows that things are improving in my area. Was ready to take a walk from T-Mobile but glad I didn’t. And it is per second, right? Correct. 37 and 39 billion cycles per second, respectively. 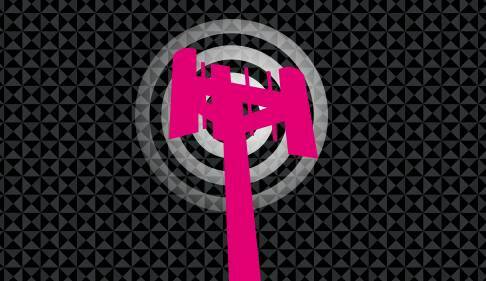 AT&T has approximately 130 million subscribers, whereas T-Mobile has approximately 65 million. T-Mobile also lacks the coverage that AT&T has. It’s not happening any time soon. Don’t these higher frequencies fry our brain more? They didn’t make cooking microwaves using 80 Mhz. The difference between a microwave oven and your cellphone is the amount of watts used: the ovens use approximately from 700 to a 1000 watts to cook you food in a few minutes and your cellphone uses a few hundred milliwatts to cook your brain in a few decades. Or so they say… who knows. Now, I don’t know which is better or worse: a low frequency that penetrates walls or high frequencies that can’t even penetrate my cellphone case, or a human skull for that matter. “The average cell tower in the USA pumps out between 100,000 to 500,000 watts.” Were doomed. Only if you put your head next to the cell tower for an hour. Otherwise you’ll be fine. Yeah. And inside an oven the radiation is bouncing who knows how many times. Perhaps in total consumption. The power coming from the antenna varies; but it’s usually under 40-45 watts. Microwave ovens use 2.4 GHz, the same as WiFi and close to Sprint’s BRS licenses.